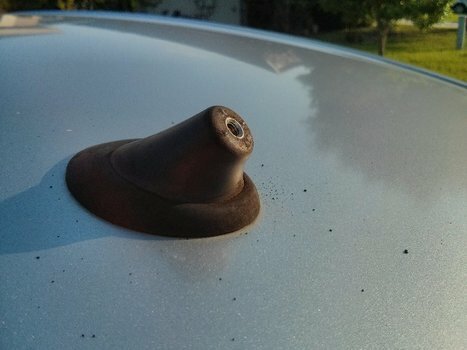 The stock antenna eventually wears out at the base and sags. Upgrade to a short solid antenna or simply replace it with an OEM unit. This article will cover you either way. It's a very simple project you can do in a few minutes! Remove the antenna by unscrewing it counter-clock-wise. 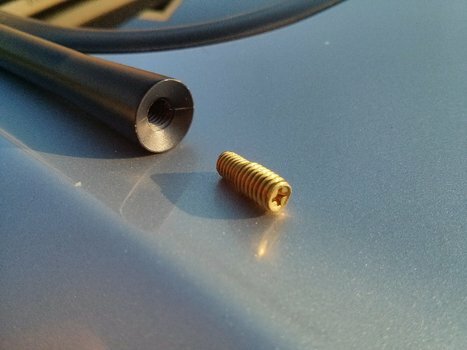 The antenna has 2 parts, the long shaft and the base it screws into. 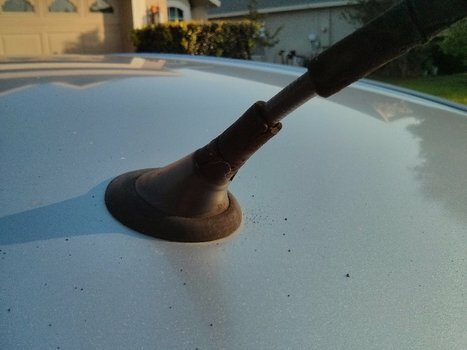 Unless you're replacing the base, simply unscrew the shaft itself. 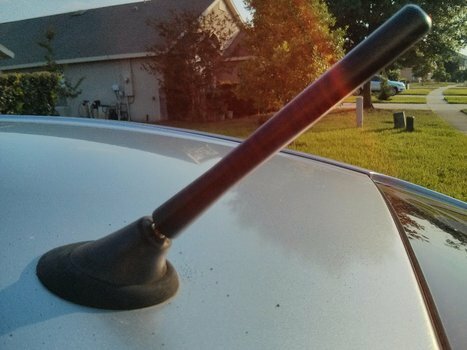 You can see below how the rubber housing around oem antenna was failing, allowing the whole thing to sag. 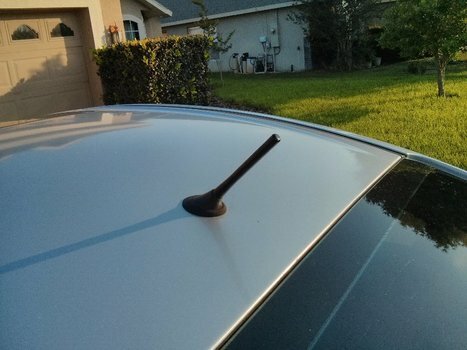 Screw in the replacement antenna. 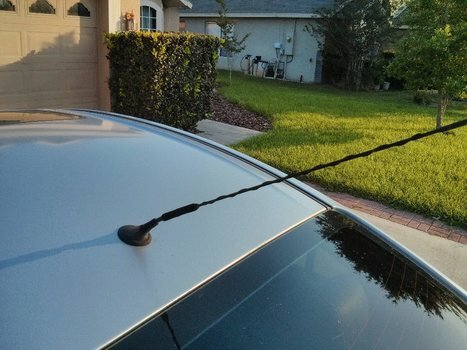 If your antenna comes with multiple adapters. Find the one that fits your car. 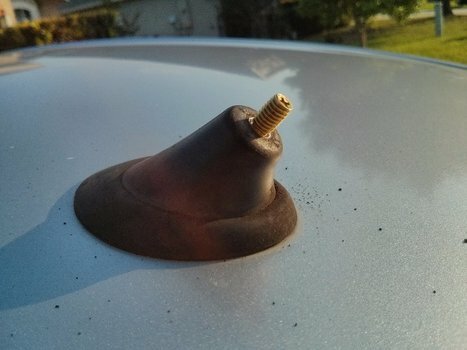 If yours does use an adapter, screw it into the base on the car and tighten using a phillips head screw driver. And then just twist the shorty replacement antenna onto the adapter.